Caroline Bressey was born and grew up in London. In 1997 she graduated from the University of Cambridge with BA Honours in Geography. In 1998 she joined the UCL Geography department as postgraduate student and was awarded her PhD Forgotten Geographies: Historical Geographies of Black Women in Victorian and Edwardian London in 2003. 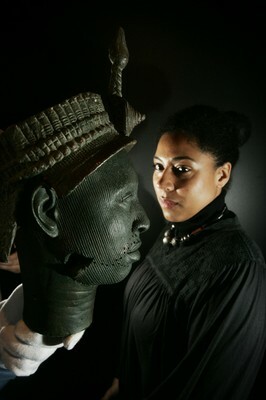 Between 2003 and 2007 Caroline continued to research the Black Presence in Victorian Britain and the role of the anti-racist community as an ESRC postdoctoral student and research fellow. In 2007 she became a lecturer in human geography and founded the Equiano Centre to support research into the Black Presence in Britain. In 2009 she was awarded a Philip Leverhulme Prize. My interests are focused on historical and cultural geographies of the black presence in Britain (particularly London), Victorian theories of race and anti-racism and the links between contemporary identity and the diverse histories of London. The Black presence in Victorian London To date my research has focused upon Black women and their experiences in four arenas of Victorian life: institutions, imperial elite society, work and anti-racist politics. I am now working to recover biographies of Black Victorian men and integrate these into a new historical geography of London. Historical geographies of Anti-Caste Edited and distributed by Catherine Impey, Anti-Caste was a journal of early forms of anti-racist/race prejudice literature in Britain. First published in March 1888, Impey eventually oversaw the transfer of Anti-Caste the journal to a Society for the Recognition of the Brotherhood of Man, and passed the editorship of its newly named journal Fraternity to the Dominican born Celestine Edwards in 1893. The following year Edwards died and Catherine began to republish her own journal once again, but she only managed to publish three issues, before, for some reason, she fell silent. 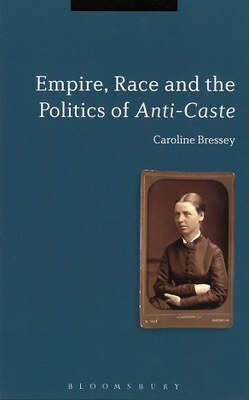 My book Empire, Race and the Politics of Anti-Caste, which focuses upon the geographical imagination of Impey's writings in Anti-Caste, as well as the geography of Anti-Caste's readership and its place in the history of the anti-racist movement in Britain, was published by Bloomsbury Academic in 2013. Looking for Blackness: race, representation and photography The absence of so-called racial or ethnic descriptions in British national records such as the census means there is no way to tell how many black men and women walked the streets of our cities, towns and villages, and slip past our eyes and through our fingers because we cannot see them in printed texts. In addition to attempting to reconstruct the biographies of individual black men and women, I am interested in the theoretical issues raised from using photographs in the research of black history. 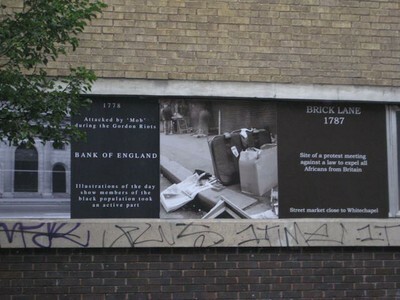 Public history and urban landscapes I am also interested in the representation of black history in London’s urban landscape and the relationship between British identity, public history and the place of black history within urban and rural landscapes. Engaging the public with my research on black historical geographies is a key part of my scholarship. Below are some examples of projects I have worked on with colleagues at UCL and museums and galleries in London. For more examples and resources visit the Equiano Centre online. Research from the AHRC funded project (2012-2013) 'Drawing over the Colour Line: geographies of art and cosmopolitan politics in London 1919-1939' can be found in two walking tour maps of Bloomsbury and Soho which are available from the UCL Map Room. For more information about events see the project blog. Online Audio slide show for Newspapers on Campaign! A British Library and MLA Council initiative that brings museums, archives and schools together to inspire young people into active citizenship, launched summer 2009. 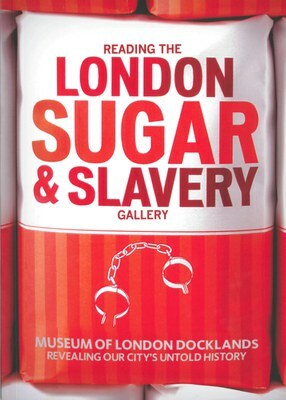 Co-curator for the gallery London, Sugar and Slavery, Museum in Docklands. Portraits, People and Abolition. Gallery trail to highlight connections to the Slave Trade and its abolition in the images at the National Portrait Gallery, London, April 2006. 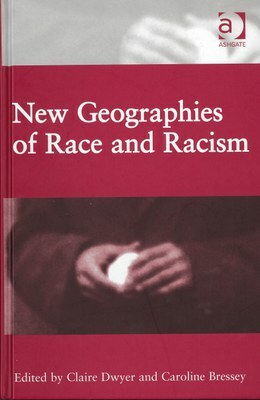 Geographies of Race and Labour 1880 – 1920. A workshop bringing together geographers, historians and sociologists from throughout the UK, Research Development Fund, Department of Geography, UCL, March 2006. Unlocking the Archives, Royal Geographical Society. Research project to find Black and Asian sitters to form a part of National Lottery funded exhibition, Royal Geographical Society, March 2004. 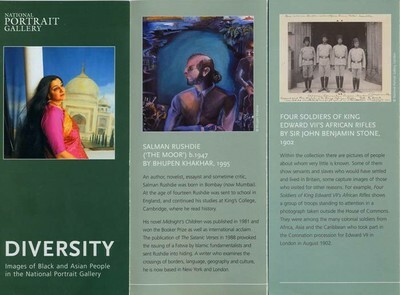 A leaflet introducing the representation of Black and Asian Sitters in the collections of the National Portrait Gallery. National Portrait Gallery and the Hollick Trust, July 2003. Co-Curator 'Before Windrush: Images of Black and Asian Figures, 1890s-1930s'. An exhibition of images taken from the National Portrait Gallery Collection. National Portrait Gallery, London, 14 September 2002 – 23 March 2003. Research Study of Representations of ‘Ethnic Minorities’ in the NPG Collection National Portrait Gallery, London and the Hollick Trust, January 2001. If you are interested in researching the historical black presence in Britain, history and heritage or theories of race, racism and multiculturalism please get in touch. Hannah Ishmael - Black archival organisations in the UK post Second World War.